The purpose of the message transcribed in this book is to bring awareness to people, facilitate the process of visual perception and have clarity in the labyrinths of daily life. It exposes to see things with a wider view and different perceptions, how to move in life with a sense of clarity and greater peace and how to receive encouraging messages that readers sometimes need as they walk the path of life. Readers will discover how to develop the courage to keep moving forward and manifest their dreams. 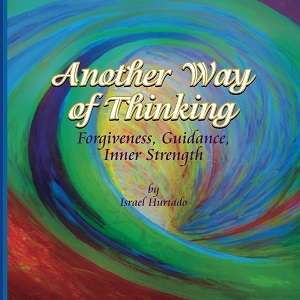 This book provides insightful messages helping the reader gain wisdom, clarity, inner peace to be more aligned and centered with their true selves. For those that sometimes are confused about which step to take, it will help them find direction. As the author explains, the book is inspired by the spirits that came through to share information and events of his own life. Order from Amazon by clicking on the picture or here. Israel Hurtado now works full time as an acclaimed visionary spiritual mentor, his beginnings in life were a lot more humble. As the youngest of eight children, Hurtado was raised in the heart of a small village in Michoacan, Mexico. Spending his childhood days working on the family farm, the idea of releasing a book was once a far cry from reality. Israel Hurtado is a healer of the soul with extensive experience in the field of complementary healing arts: Divine Light Healer, Clairvoyant, Medium, Channeller, Medical Intuitive, Spiritual Mentor, Empowering Adviser and First Degree black belt in Aikido.